One of Cooper Elementary’s teams in the competition won first place for the fifth grade level and Mohit Pathak won the individual competition. 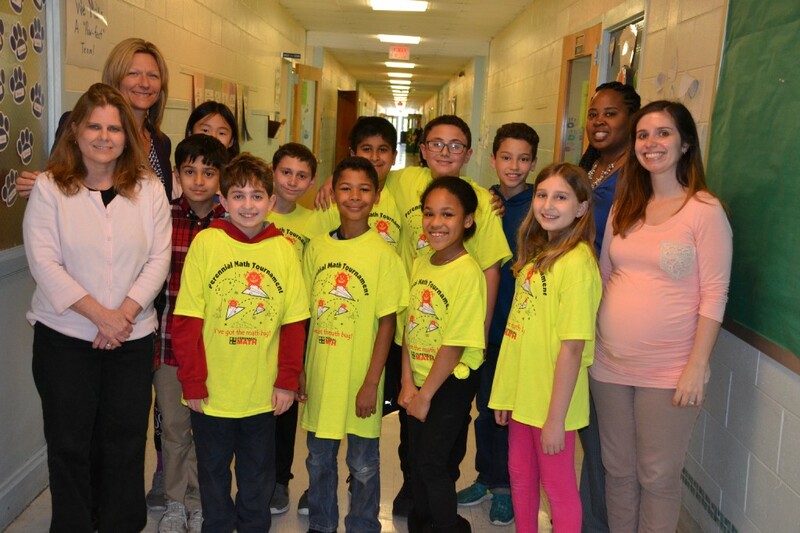 Ten of the brightest math minds in Cooper Elementary School’s fifth grade came together on April 22 to compete against some of the brightest minds from around New Jersey at the 2017 Perennial Math New Jersey Tournament at Rowan College of Burlington County. For many of the students, it was the first time competing in a math competition, and their expectations were kept in check. “I thought I would take a chance and see what I could get out of it,” fifth grader Mohit Pathak said. “I was freaking out and screaming,” Eva said when she found out the team won. The group of 10 students at the competition makes up Cooper’s Math Mania Club. In late February, fifth-grade students were invited to take a test to try out for the club. The students with the 10 highest scores got the chance to join the club and compete in the Perennial Math Tournament. The Math Mania Club began meeting on Thursdays in early March. With the Perennial Math competition consisting of an individual test and a team test, the students practiced solving problems both on their own and in groups. There were a number of challenges. One was the difficulty of the problems. The test material covered some topics the students hadn’t learned about in class yet. “We learned how to plot dots on a graph,” Mohit said. “We had to learn the median and the mean,” Reno added. The students also had to get acclimated with each other. The 10 club members came from two classrooms, and the two teams each consisted of students from both classes. The day of the competition was nerve-wracking for the students. Many of them had never competed in a math competition before. The day started with the individual competition, which consisted of both multi-step problems and algebraic computations. Many of the students found the test particularly difficult. “I kind of lost my mind when they asked me how many times does 24 go into eight,” Jason said. For the team competition, the groups were asked to answer 10 multi-step problems in 20 minutes. Both teams created a strategy where the students worked on problems they felt they were strong at solving. “Once we did the group test and started working together, it definitely got a lot easier,” Liam added. Even before the students learned where they finished, they felt a sense of achievement. “Just for making it into the tournament, we already won,” Liam said. The Math Mania Club celebrated its achievement during a meeting after school last Wednesday. The teachers talked of how proud they were of the club, as the students recalled their favorite moments from the competition. The Perennial Math journey may not be over for the Math Mania Club. The winning team and Mohit are eligible to enter the Perennial Math’s National Invitational Tournament, taking place online on May 17.